When we go on holiday we still want to have some choice and variety with our jewellery but also want to keep our jewellery safe which is where these beautiful travel cases from Annoushka come in. Don't just put your precious jewellery in any old pouch and let it all get tangled together on its journey keep it all organised and safe in a specially designed case, making sure it all gets from A to B in one piece. 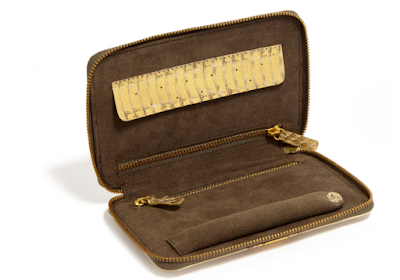 Plus the fact that these cases fit snuggly in your handbag means that you know where your prized jewels are at all times and won't be worrying they might go missing from your suitcase. 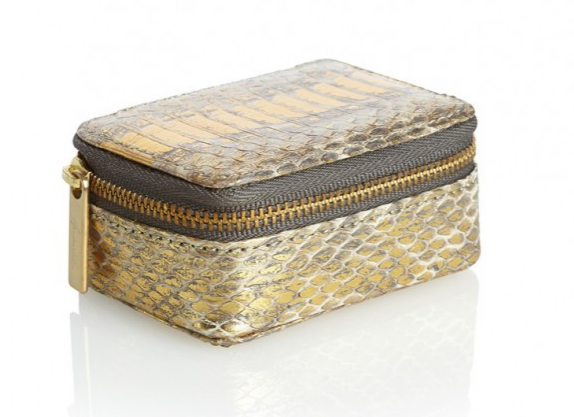 Golden snakeskin jewellery case contrasting inside with soft dark grey alcantara the Annoushka Jewellery pouch is lightweight and small enough to fit snuggly in your handbag. Meticulously designed to keep your pieces safe on your travels with a separate earrings compartment and removable ring cushion. 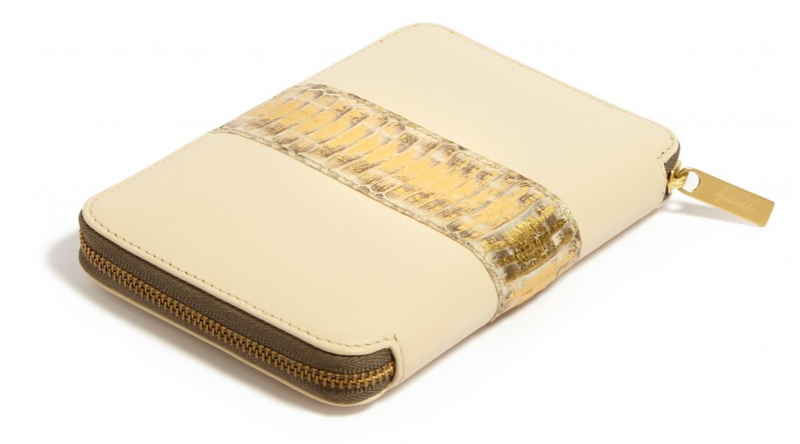 A soft white lambs leather case with contrasting golden snakeskin accents. The Annoushka jewellery travel wallet is lightweight and small enough to fit snuggly in your handbag. It has been meticulously designed to keep your pieces safe on your travels with two secure zip compartments, a ring roll and earring holder. It also contains a removable small jewellery purse with separate soft compartments.